If Ross Ventrone is anything like his older brother – and Bill Belichick thinks he is – he may be sticking around. 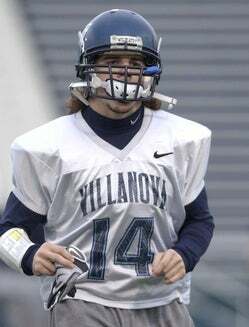 A free agent defensive back from Villanova, Ventrone is the younger sibling of Ray Ventrone, who spent most of four seasons with the Patriots and is now with the Browns. Just like Ross, Ray was undrafted out of Villanova. Listed at 5-foot-8, 190 pounds, Ross Ventrone attended a couple of games in Foxborough when his brother was with the Patriots, but is still a bit excited to see the team’s logo on the side of his helmet. Generally, there is one undrafted rookie who earns a spot on the 53-man roster each season in New England, and Ross doesn’t have to look any farther than his brother to see that that’s possible. “I just think it’s a good example, that if you work hard enough you can accomplish that, so I’m just out here making the best of my opportunity and hopefully that day comes,” Ross said. Did Ray offer any advice before he packed his bags for New England?